All images taken with a Canon 1DX MkII and EF200-400mm f4.0 lens. A recent return to Denver afforded me another opportunity to spend some times in the Rockies. 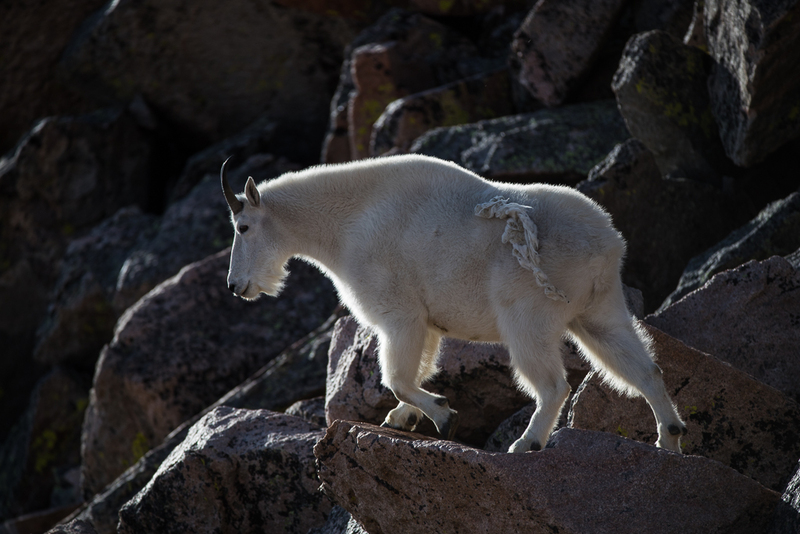 An early morning start allowed me to get close to the summit of Mount Evans shortly after first light. 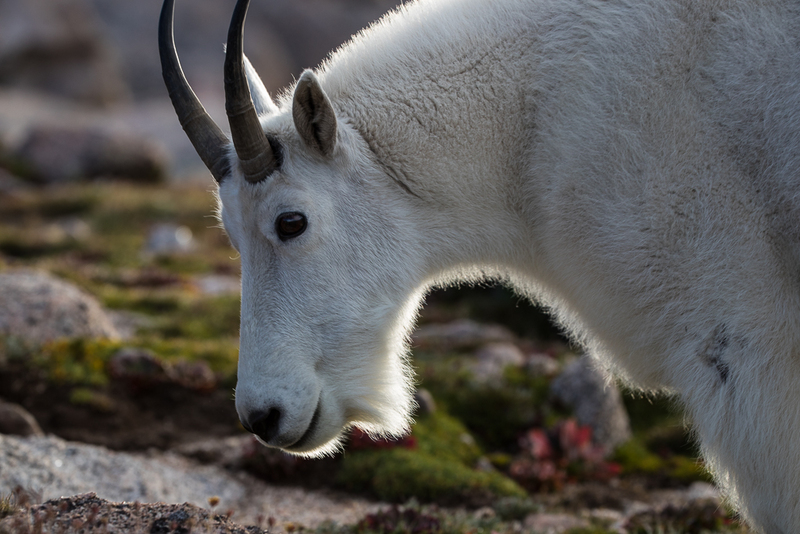 I was fortunate to find two small herds of mountain goats, spending most of my time with a group of 5, 1 male adult, 2 female adults and 2 kids. The kids will be the subject of their own blog. It really is a privilege to spend time close to any wild animal. 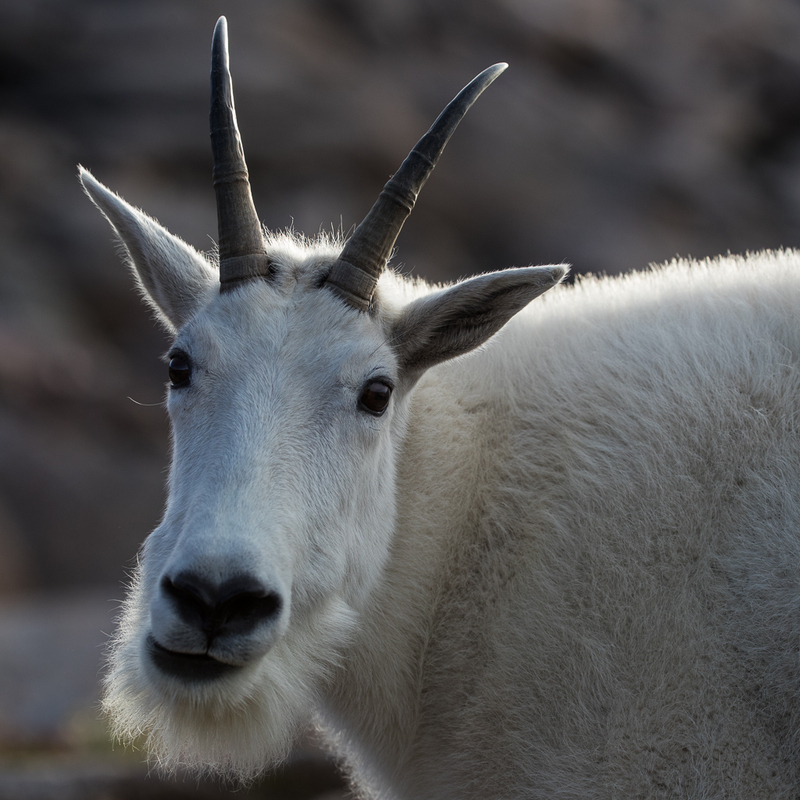 The goats are fairly used to humans and though wary are not skittish. 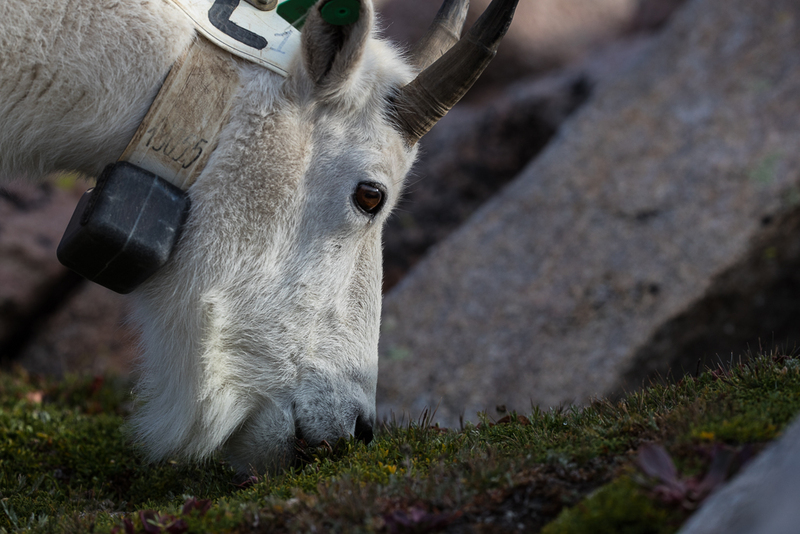 I managed to gain some trust with the male billy goat, to get some close ups of him grazing on the tundra. I also spent a lot of my time trying to keep the goats between me and the early morning sun. 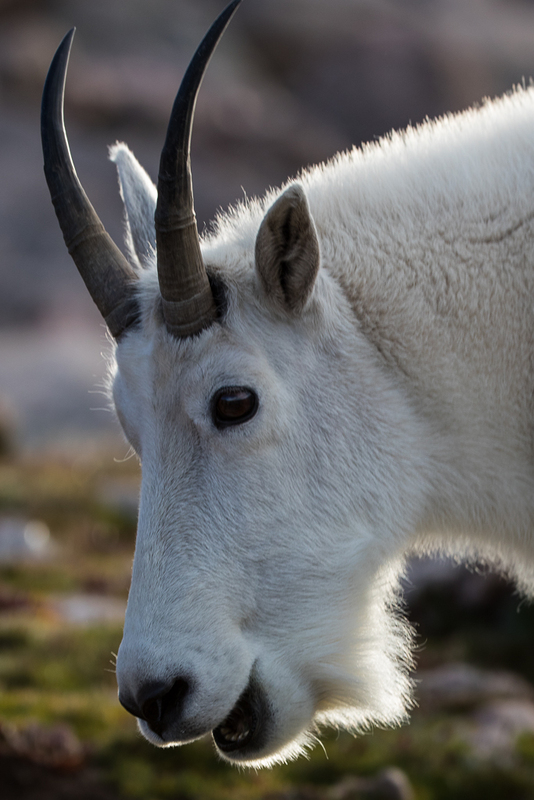 It allowed the sunlight to illuminate their beards, tips of their horns and outlines to provide some lovely portraits of these beautiful animals. The first set of images are quite closely framed as I was very close. The there are a few images from slightly further away which gives a context to the terrain. In the two head portraits you can see my battle to try and get the beard backlit and some highlighting on the horns. The image below is probably my favourite of the portraits primarily due to the angle I was able to get the sun behind the goat. 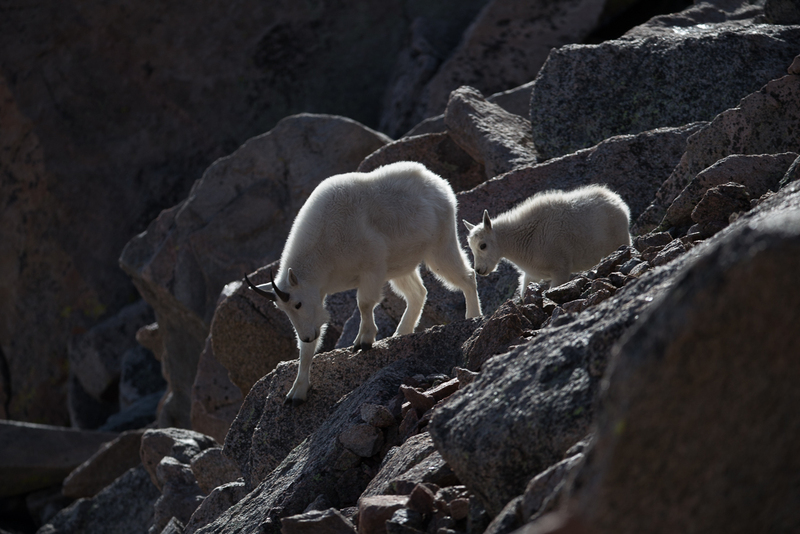 Mother and kid begin to descend the rocky upper slopes. Mother on the upper slopes framed by the sun. Part of her outer coat is being rubbed off. 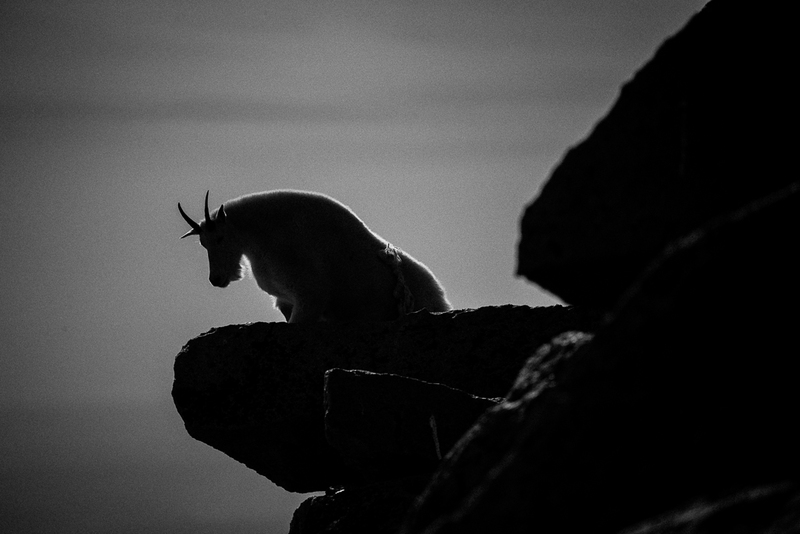 A classic goat pose on a rock plinth, framed by the early morning sun. 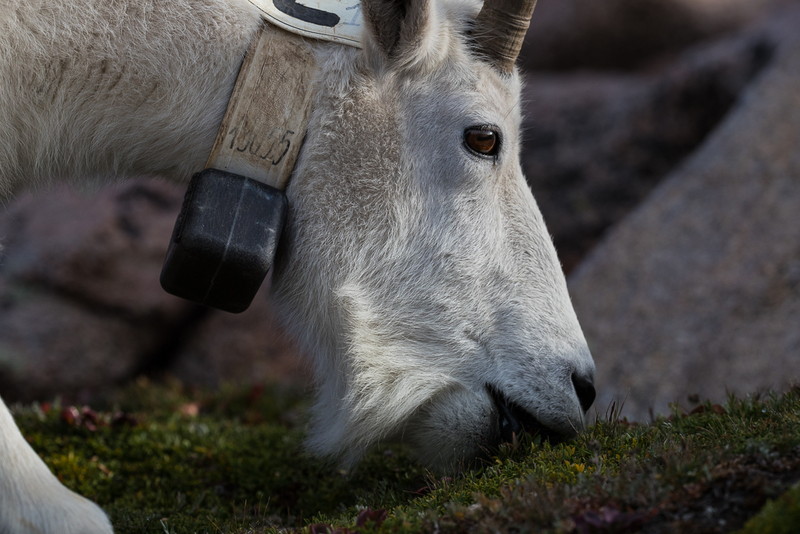 The billy goat seemed to be fitted with a GPS tracker. Watching all the goats close up their agility on the rock was great so observe at such close quarters. In the time I was with them they covered considerable territory as they grazed. Being at around 13500feet it was certainly a struggle for the unfit photographer to keep up. The last two images were a bit of an experiment. The ledge that the goat had gone too was slightly out of a good hitting range even with the extender clicked it. Also the sun had risen quite a bit and though was still framing the animal it was becoming more difficult to get a good exposure balance without the sky looking far to blown out. 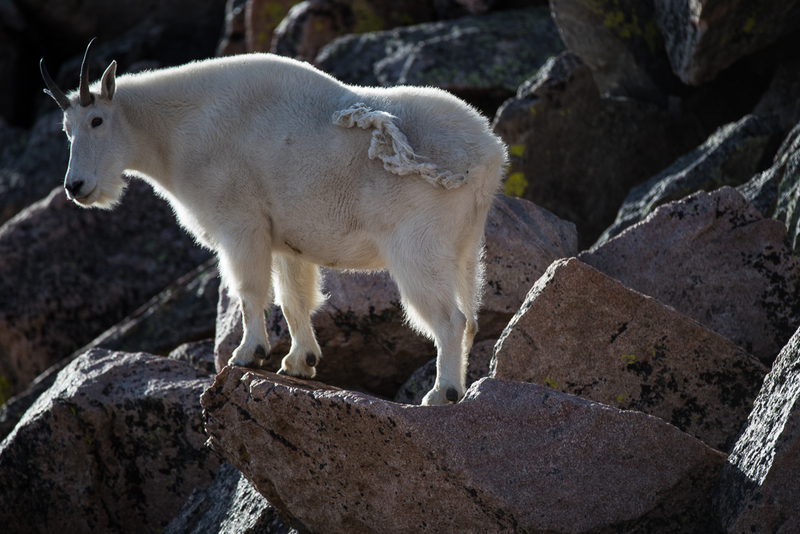 All mountain goats have strong shoulders and necks, it makes them ideally suited for controlled descents on steep rock. I tried to capture this in a black and white image. 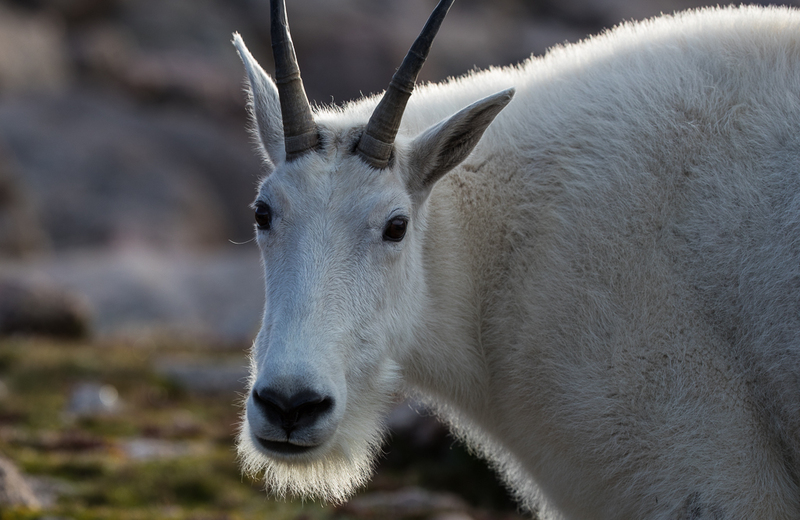 I think the black and white lends itself to some of the definition on the goats physique much of which is hidden by its thick (even in summer) coat. 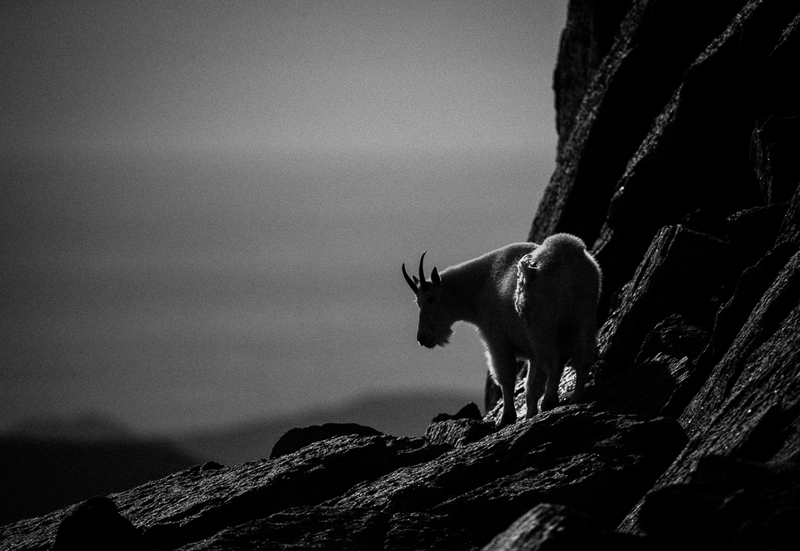 These black and white images are STUNNING. Lovely rim light! Thank you Stephanie, as I said I regained my interest in black and white photography from a certain book of your images I had the privilege to look through.